Welcome to the Smith Veterinary Hospital Website! We are a well equipped, very versatile animal care facility. Our staff is here to provide the best quality surgical and medical care to our patients, your pets. It is our goal to provide the highest quality medical and surgical care to our patients and offer the best possible service to our clients. We believe the best way to care for animals is to work to educate owners about their animal's health needs. We strive to accomplish these goals through team work with God as our leader. Our competent and friendly team includes Dr. Madge Smith and Dr. Dustin Hunt. 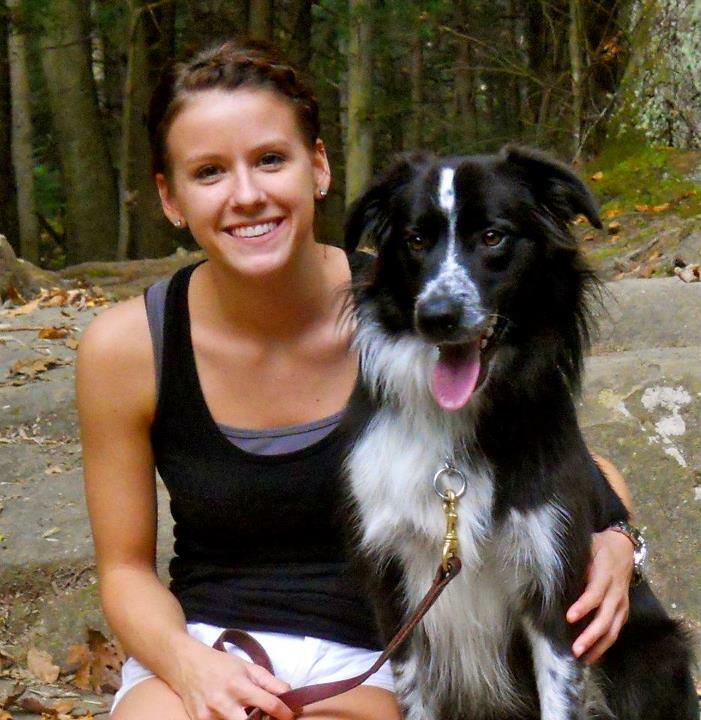 Both are graduates of Purdue University School of Veterinary Medicine. They are members of local, state, and national veterinary associations. The rest of the team consists of our office manager, registered technicians, assistants and animal caretakers. We work together to provide your pets with the best veterinary care available, always putting you and your pet’s health first. Our motto: WE TREAT ALL PETS AS IF THEY WERE OUR OWN. I am a 1976 graduate of Purdue University School of Veterinary Medicine and have been practicing Small Animal Medicine and Surgery in Berne for over 30 years. I am the mother of four daughters and grandmother to eight grandkids. I also have a Bernese Mountain Dog named Aspen, a German Shepherd Dog named Dove and two cats Bootstrap and Balbosa. The thing I like most about working at Smith Veterinary Hospital is the awesome team I work with and the stellar clients and patients that come here. I am Dr. Hunt, I graduated from Purdue University College of Veterinary Medicine in 2018. I worked for Smith Veterinary Hospital in high school and in the summers of undergrad. I have a strong interest in canine reproduction and look forward to bringing new ideas to the practice. I married my wife Brittany 5 years ago. We have a French mastiff named Vance, 2 Bullmastiffs Ava and KO, and an American Staffordshire Terrier Bocephus. We also have 3 cats named Star, Milo, and Calum and 3 birds Crackers, Chip, and Winston. 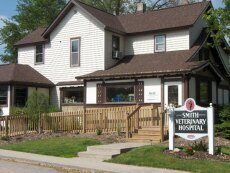 I’m excited to be working at Smith Veterinary Clinic back in my home town, alongside Dr. Madge and the wonderful Smith Vet team! I have been working here since the fall of 1979. I am the office manager working to keep everything running smoothly. This is the job I always wanted but never thought I’d be fortunate enough to have. The best part about the job is the wonderful team we work with and the clients who share the care of their beloved pets with us. My Golden Retriever Kya, has me very well trained. I’m Meghan Johnson. I graduated from Adams Central High School in 2008. I worked here at Smith Vet through high school and some during college. I went to Purdue university and graduated with my Bachelors in Veterinary Technology in 2012. I married my husband in July 2015 and we had our first child John in April 2016. We live with our Husky mix, Willow out in the country near Monroe. I’m very excited to be back at Smith Veterinary Hospital, and to be a part of their great team! I have been working here at Smith Veterinary Hospital since....well my entire life. I am Dr. Madge and Dr. Larry's youngest daughter. I have grown up in the practice and I assist wherever I am needed. My off the clock time is filled with my animal related activities. I breed and show Cardigan Welsh Corgis. My dogs are shown in conformation as well as being my constant companions. I have a beloved Percheron mare named Phin, a Paint mare named Butter and Ducks my Gypsy Vanner Mare. I also keep a small group of miniature barnyard animals including a zebu cow and two Kune Kune pigs. Obviously, I have a strong love of animals and am very happy to be working here with you and your pets. I’m Katie Butler. I graduated from Adams Central High School in 2009. I went to Anderson University and IPFW. I also graduated from Troyer School of Real Esate in 2015 with my Broker's License. I am married to Larry Butler who works as detective at the Adams County Sheriff's Dept. We live in Berne with our 3 dogs, Lila (Goldendoodle), Cash (Labradoodle), and Lucy (Beagle), and one fluffy cat named Ginger. I’m very excited to be at Smith Veterinary Hospital, and to be a part of this great team! Animals have always been a love of mine and it's my dream to be working with them every day! Jen is Dr. Larry and Dr. Madge's daughter. She has been working in the veterinary field for over 15 years. She is the groomer here at SVH. Jenny and her husband live in the Berne area and have three kids: two boys, Bailey and Clancy and one girl, Stella, who arrived from Haiti four years ago. The McIntires enjoy horse showing with all three kids and participating in 4-H as well as trail riding and spending time together. They have three horses (Drover, Dakota, Chiquita) three dogs, (Cinch, Jilly, Rudy), and a cat (Fuzzy Noodle). I graduated from Ball State University with a degree in Business Administration in 2011. I then went to the National K-9 Learning Center in Columbus, Ohio where I became a certified professional trainer. After graduating, I officially founded Fetch Canine Training Center, offering Puppy Preschool, Obedience, and Behavior Modification. I work closely with the amazing staff at Smith Veterinary Hospital, servicing both their clients and clients from other veterinary clinics. Most of my free time involves my own dogs, Lincoln, Jarvis and Church. Pixie lives with Valerie and comes to work with her everyday. She enjoys greeting our patients, the smaller the better. On her off time she enjoys attending dogs shows where she has obtained many working titles and playing with the other shepherds at home. She periodically takes maternity leave to help her daughters raise a litter of puppies. Her favorite part of her job is meeting new puppies and children.